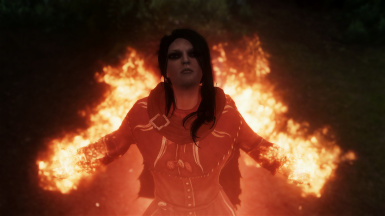 idk why people are saying that Ultimate HD Fire Effects SSE does not work... I hope it's for being misinformed . 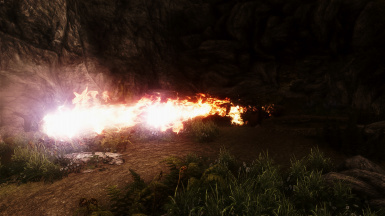 Sorry but I'm laughing because this mod doesn't do anything (fire works differently in SE than it does in LE). 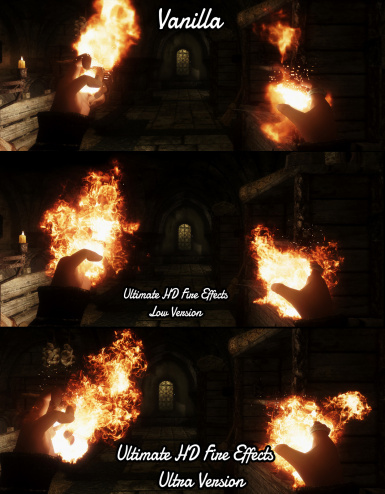 So when you say this is way better than some other mod, you are actually just viewing vanilla fire lol. 2.5k endorsements. The placebo effect is real. 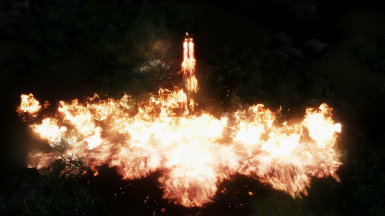 Been testing it for months, ashamed to say I forgot to endorsed... one awesome mod, fire has never seemed more realistic, burning and, well... firey :) Thanks for this incredible addition to my game! Dude, the mod doesn't do anything. Try uninstalling it and comparing it to vanilla and you'll notice there's no difference whatsoever. 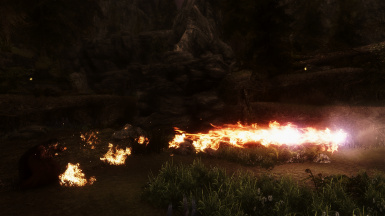 SSE handles flame effects differently than Oldrim, and as a result this direct port doesn't actually do anything. It's essentially just a placebo. 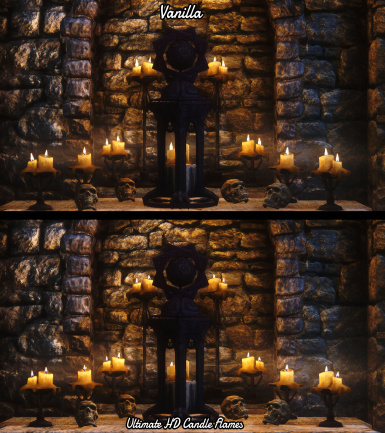 This mod doesn't seem to do /anything/ on SSE. 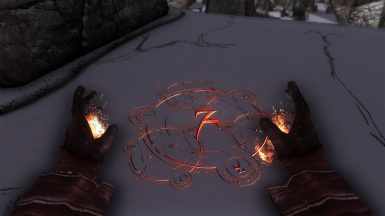 It worked fine on LE back in the day, but I don't see any changes at all to Skyrim SE. 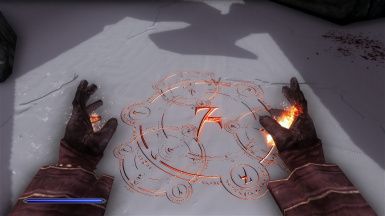 It looks nothing at all like the screenshots you pulled over from the original mod. Everyone else I've ever asked about this seems to say the same. 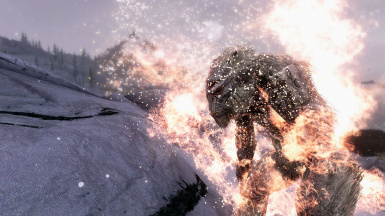 There are even several posts about it on SSE reddit. 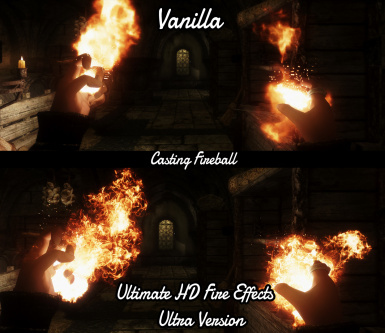 The issue here is that Skyrim SE deals with fire in a much different way than that of LE, so just pulling this mod over from LE and hoping it'll work like it's supposed to is a bit silly. 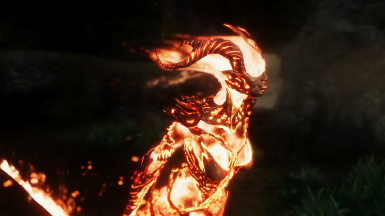 This mod, in its current state, will never work on SE. 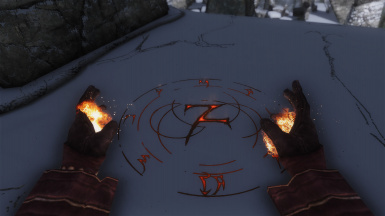 And if the author claims that it is working for him like it does in LE, then I would like to see some screenshots from his SSE installation proving it. 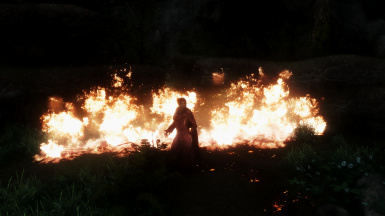 Because all of these screenshots are from the LE mod. The point is, this entire port is pointless and useless, and you're wasting a whole lot of people's time. 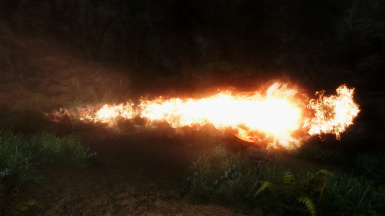 That being said, there is a way to use this mod to make SSE Fire look halfway decent, and you can follow my reddit guide on how to do that. It's really simple. I have to agree with this, I couldn't make this work whatever I did. 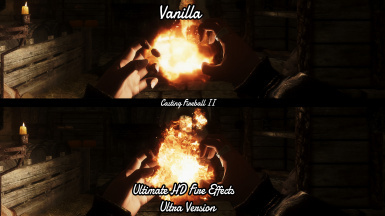 Anyone who tried only applying this mod? Maybe there's a conflict with some mod I am not aware of, but it didn't change a thing when I installed it. Would love to have it working though. No conflict. It just simply doesn't work. Even rheadude admits this, but he just doesn't have the time to mess with it, nor does he play Skyrim SE to be able to rectify it. 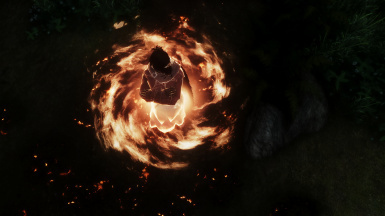 And yes, I've tried this mod as a single mod. I created a new profile in MO2 with only this mod enabled. 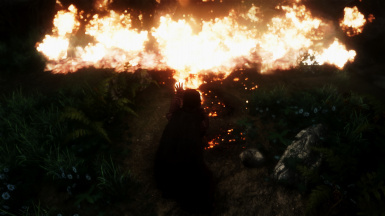 Fires in inns still look puny, and the textures don't come through at all. I mean, AT ALL. They just simply do not work on SSE. The meshes are even worse. 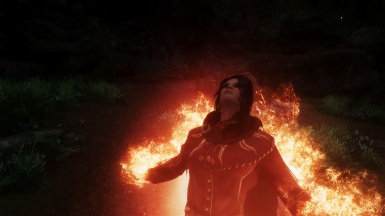 You're better off letting Embers HD, your weather mod, and Particle Patch for ENB take care of all of your meshes. And this isn't just me. It's any and everyone that I've ever asked about it. Obviously the guys over at pcgamer.com never ACTUALLY played the game or tested this mod, but took the screenshots at face value. 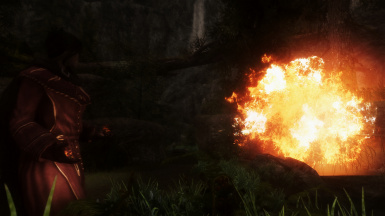 Any and all of this aside, I would just like to see the LE screenshots replaced with screenshots from SSE so that people know what to expect, because as it is, it's essentially a lie. 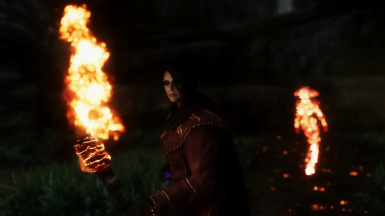 Something I have noticed, though, is that the flame animations for selecting fire spells out of the Magic inventory in the game DO look like the textures from this mod, but that doesn't seem to translate into actual gameplay. 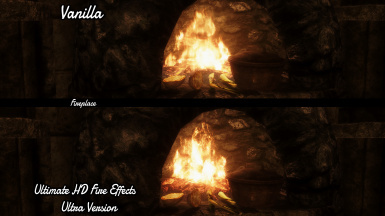 It's because there are no meshes for preview (it's a 2D image of fire instead of a 3D fire or gout of flame) so the textures are shown unimpeded. 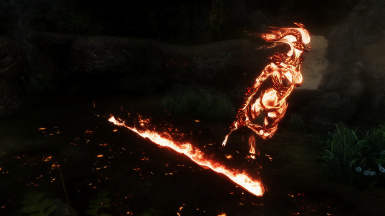 The issue then, seems to be with the meshes not translating into fire in-game properly, so the fire textures aren't being utilized properly either. You should see the animation of the preview, though. It looks incredible. I thought I had a problem with my install order or that there was something wrong with my eyes, but nope, mod just doesn't work. Thanks for posting your reddit guide. Somehow I missed it, but I'm going to try it tonight since this mod seems to do nothing for me at all. 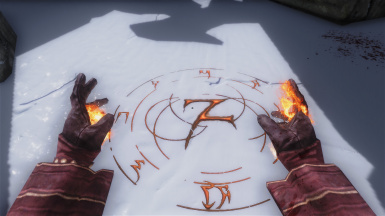 Dude if you think it doesn't work then how come he/she got the Flame trap and the Flame Atronotch to look realistic if you think he/she use photoshop for the flame trap then how is it normally flat like its script is supposed to be in the vanilla version of it, their are also animated flames or gifs that can look too real through images, though from the 4th and 5th image looks like he/she used effects to make it real cool and there are other modders that cant buy SSE to put their mods in (also because they don't want to waste money) and since there isn't even one single living SES V on steam which SES V has more mods than SSE and if your having an issue with this mod then there might be another mod conflicting this one. So you can complain all you want. Case closed. Wyatt, what are you even trying to say? Please use proper grammar and punctuation. 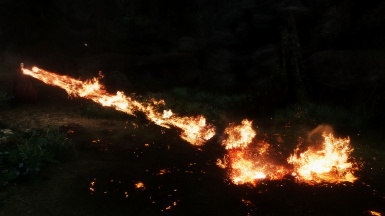 As it is, this mod flat out doesn't work, because it's a direct port of the Oldrim version which doesn't take into account that SSE processes fire effects very differently. I can't actually tell if you were agreeing with that criticism or not though. Does this work with dragons? Just want to point out there's a much more easy way to get the full benefits of this Mod. 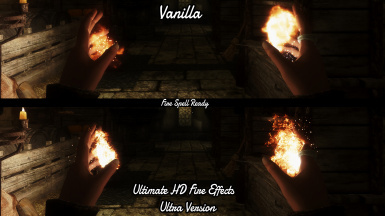 Simply manually merge it with Cinematic Fire Effects, carefully replacing the necessary meshes and textures. No..... Really. This doesn't work in anyway..